"The Signe" is an art center dedicated to the support, development and promotion of the visual arts discipline of graphic design. The national center of graphic design opened its doors in 2016. 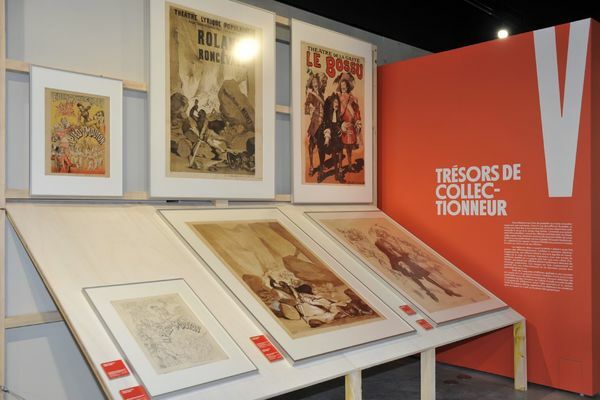 First permanent place of France dedicated to the graphic design, it is part of the continuity of a history started in 1905, by the legacy of Gustave Dutailly to the City of Chaumont, consisting of 5,000 illustrated posters. This collection, featuring pieces by Henri de Toulouse-Lautrec and Jules Cheret, has been enriched, over the editions of the international festival, with a collection of 40,000 contemporary posters and objects related to this unique visual art. Exceptional cultural equipment, the Signe, national center of graphics, offers you throughout the year a program of thematic exhibitions, workshops for all audiences, workshops, conferences, meetings and professional training. There is no review about Le Signe, Centre National Du Graphisme, be the first to leave one !